Because whiplash is such a well known injury after car accidents, it is sometimes missed after other injuries, such as on the football field, water skiing, falling from a bike or horse, or any other activity that results in sudden jolts to the neck. 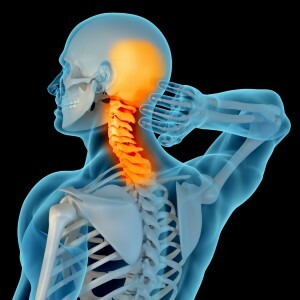 The most common symptoms are pain and stiffness in the neck, as well as headaches, but some patients also experience dizziness, difficulty swallowing, nausea, and even blurred vision after a whiplash injury. Some people only realize they have suffered an injury when what was just a little initial soreness in an injury has either not improved or has worsened in the following few days or weeks. This is why it is often helpful to get checked out after a potential injury to rule out anything that might be more easily resolved with prompt and proper treatment, before an injury becomes chronic. Every person’s body and injury are a little different, but it is generally best to keep active and not immobilize the neck unless the injury is severe. Ice is often helpful in the first 48 hours after injury, and much research has proven the efficacy of chiropractic manipulation of the neck to improve spine mobility and range of motion. Massage and gentle rehabilitative exercises are often appropriate additions to improve recovery time. After the initial pain and inflammation have gone down, some injuries may also require physical therapy or rehabilitation for full recovery. If you’d like to learn more about how the body is impacted, and how to treat whiplash as quickly and effectively as possible, check out the American Chiropractic Association page on Whiplash (in PDF: ACA Whiplash). Absolute Wellness Center offers chiropractic medicine, sports medicine, physical rehabilitation, acupuncture and massage. Our providers treat patients suffering from these whiplash and personal injuries every day, particularly from those suffering from a car accident injury or workplace injury. To learn more about whether our services may benefit you in your recovery, give us a call at 541-484-5777.